WOW! 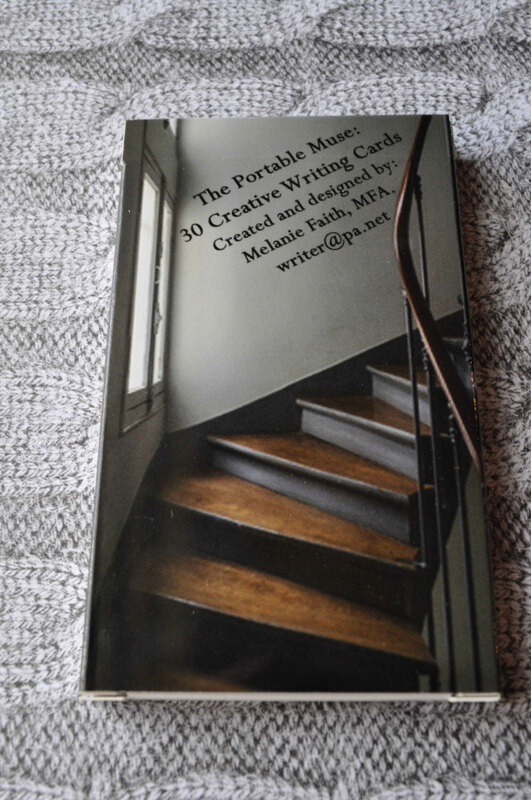 Women On Writing Blog: The Portable muse: Creative Writing Cards by Melanie Faith - Giveaway! 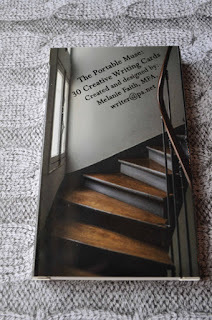 The Portable muse: Creative Writing Cards by Melanie Faith - Giveaway! As a writer, you know there’s nothing more intimidating than staring at a blank page, cursor blinking, without an idea in mind. I like to show up to the page with purpose, but sometimes my muse takes a vacation. When she abandons me, I refer to my library of writing prompts and toolkits to get my pen moving. I have a deck of flash cards that say things like “raise the stakes” or “switch media” that I randomly select to help me get unstuck, a set of writer’s dice to help plot my novel, and many, many writing prompt books. So when I found out that WOW instructor Melanie Faith created a set of creative writing cards, I couldn’t wait to share them with you. Melanie has inspired so many of her students to produce quality writing, and these cards are bound to do the same! 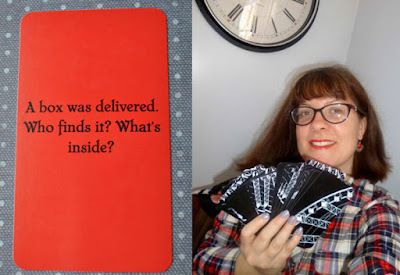 The Portable muse: Creative Writing Cards are available at Melanie’s Etsy shop and contain 30 new prompts on beautiful, durable card stock that she created and had professionally printed. 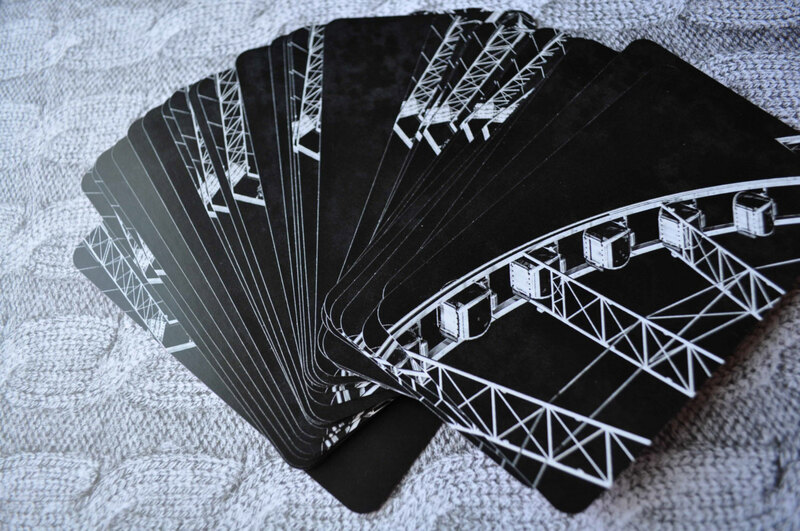 These portable cards are sure to inspire fiction, essays, poetry, and more! Slip them into your purse and take them to your writing group or classroom, give them as a gift, or keep them for yourself to inspire thirty new pieces of work. Some prompts include quotations, some situations, others a title or setting. They are good for individuals and for groups, and they are gorgeous! Shuffle and pick one card at random each day for a month. Three wild cards included. Shuffle and pick two or three. Combine into one draft. Choose one for your class or writing group. Each writer pens for fifteen minutes and shares. Alternately, each writer can choose one card. Meet a writing friend. Both pick a card and write for twenty minutes without stopping. Share. Repeat. Game night. Use singly or on teams. Take for a spin during daily free-writes when you are without ideas. Teaching a seminar or class? For all age groups, middle school and up. They make an awesome gift for writers of all levels! I’m in the holiday spirit of giving, so I’m providing a set to one lucky winner. Just fill out the Rafflecopter form below and we’ll randomly choose a winner a week from now (Dec 15th). The winner should have her cards by Christmas. Good luck! Angela--I am keeping my fingers crossed that I'm the winner. They sound like a great thing for a writer to have and the fact that they're portable (can fit into my purse) makes them even better. Love the idea of these cards. Will be doing some writing workshops in the coming year at our library, so will need to get ahold of these cards! I have used similar things but these are beautiful. I've led writing groups based on prompts for 11 years so it would be fun to share with them too. This is such a great idea. I want to use them with my writing group. Agreed with everything said here. What an awesome idea and great for a gift for writers or for a writing group! Melanie, you did a great job with these! They are very nice looking in addition to all the fun ways you can use them writing alone or with a group. Like Margo and MP (why do we always think alike? ), I think these would be great to use with my writing group.